Light fish appetizer. We need smoked salmon and frersh cucumber, cut into thin slices. 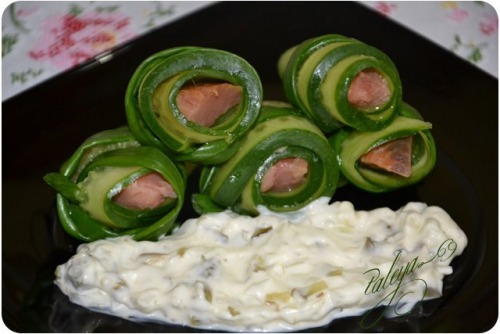 Wrap fish in cucumber and serve with tartar sauce. 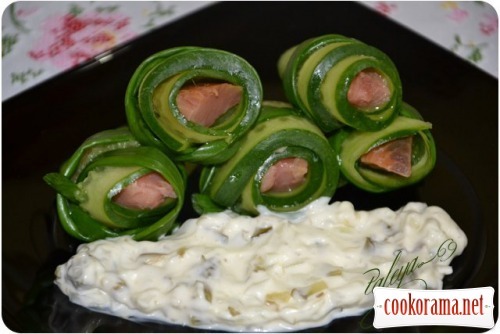 Top of recipe "Salmon in cucumber"